Kenora, Ontario native is pumped to represent Canada at the 2010 Olympic Games in Vancouver. Making the Canadian Olympic hockey team had been in the back of his mind for a year. So when Mike Richards finally got the call, it was part relief and pure elation. Earning a coveted spot on Canada's entry at the 2010 Winter Games was hardly an easy task. There were any number of worthy candidates, Richards included, who had a legitimate shot at wearing the red and white jersey in Vancouver. And while those considered might have belied their true feelings leading up to the announcement in late December, it likely caused a few sleepless nights for the players whose names were being bandied about. 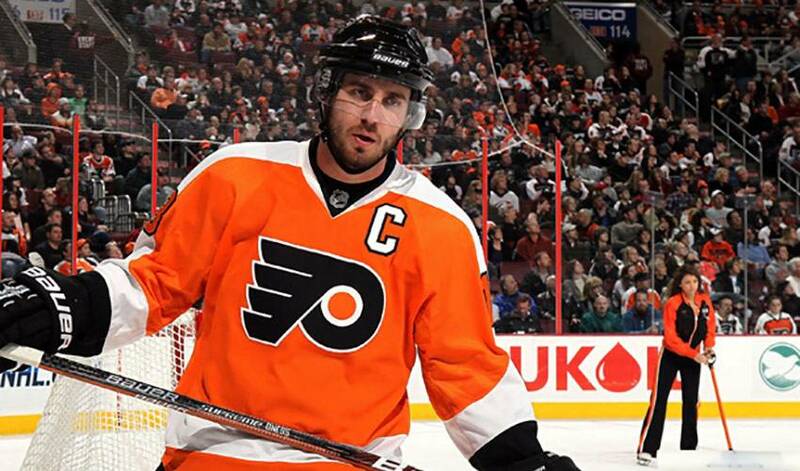 “It's always in the back of your mind I think when you're playing games, and obviously you want to do your best for your team right now in the present,” said Richards, who was named the 17th captain in Flyers history on September 17, 2008. “But at the same time you always want to do your best. Richards will be hoping for the same result as his previous Team Canada experience. Five years ago, the native of Kenora, Ontario, was a member of the squad that bested Russia 6-1 in the gold medal match. Current NHLPA members Patrice Bergeron, Dion Phaneuf, Sidney Crosby, Ryan Getzlaf, Corey Perry, Andrew Ladd, Braydon Coburn, Cam Barker, Shea Weber, Brent Seabrook, Jeff Carter, and Richards made up the core of a team that is widely regarded as the best World Junior team ever. And when he's not wearing the maple leaf on his sweater, Richards tunes in to watch his fellow countrymen shoot for gold. What made Richards such an attractive choice for Team Canada's 2010 Olympic entry is his versatility. A capable offensive threat, the sturdy 5'11”, 200-pounder is a major physical presence, dishing out hard hits or providing strong forechecking. So much so, in fact, that Richards, who plays a huge role and logs big minutes in Philadelphia, isn't concerned with ice time, linemates or power play time come the Olympics. All the 24-year-old cares about is taking home gold in front of the home crowd in Vancouver. Just don't expect Richards to wilt under the tremendous pressure that comes with competing on the world stage. It's an approach that has served Richards well in one of hockey's most demanding cities. A standing ovation in Vancouver wouldn't be so bad either. The National Hockey League Players’ Association (NHLPA) and the National Hockey League (NHL) have reached a settlement agreement regarding Mike Richards’ standard player contract.